CONTROVERSY was never far away from this dazzling winger with lightning pace, terrific skill and a great strike rate. He was sent off over 20 times and famously sent home from the 1978 World Cup in Argentina for taking a banned substance. However, Bud, as he was known, earned a special place in the Ibrox Hall of Fame with his vital contribution to Rangers’ finest hour on foreign soil. When Rangers beat Moscow Dynamo in the 1971-2 European Cup Winners’ Cup final, it was the tricky left-winger’s goals either side of half time that clinched the trophy. 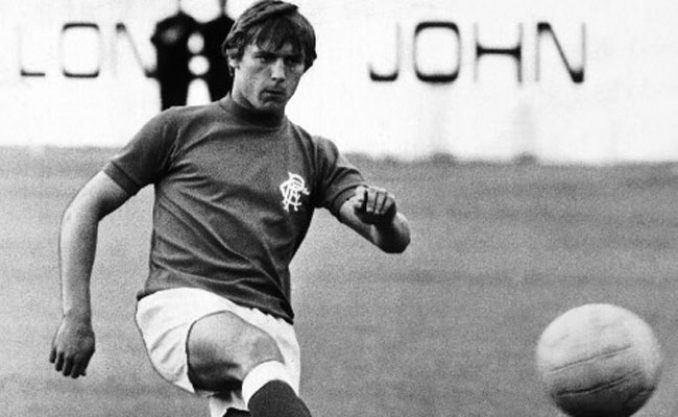 Between 1964 and 1972, the first part of Johnston’s Rangers career earned him a Scottish Cup and two League Cup medals to go with his European gong. His great pace and amazing dribbling skills terrorized Scottish defences, and earned him a move to West Bromwich Albion in December 1972. Johnston won 22 Scotland caps, the last of which came in the disastrous 1978 World Cup defeat by Peru in Argentina. After this game, he failed a drugs test and was sent home in disgrace. In 1980, he returned to Ibrox for a couple more seasons under John Greig, and in all he played 393 games for Rangers, scoring 125 goals.